The BMW X6 M expands on the X6 Sports Activity Coupe model lineup, introducing legendary BMW M power to a distinctive 4-door, 4-passenger vehicle that combines coupe-like agility and style with the versatility of a SUV. 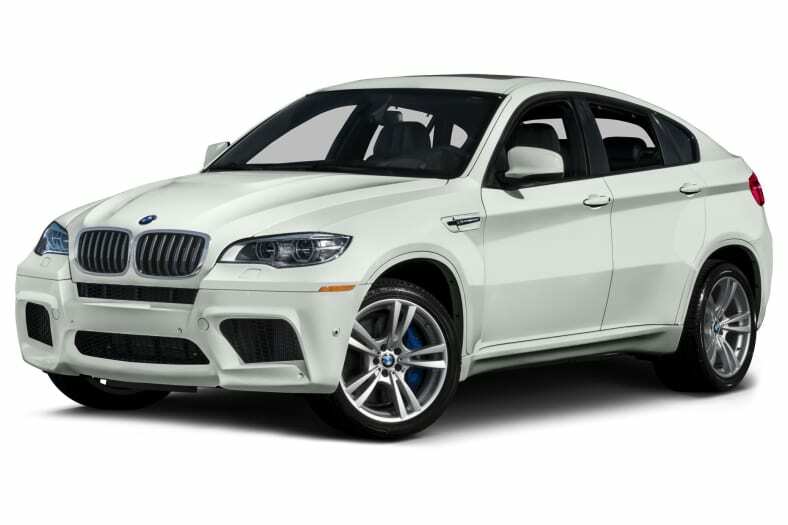 The BMW X6 M is available in one comprehensive trim level, powered by a muscular 4.4-liter twin-turbo V8 engine that puts out 555 horsepower and 500 pound-feet of torque. A six-speed Sport automatic transmission with Steptronic manual shift mode and steering wheel paddles is standard, along with BMW's xDrive intelligent all-wheel drive system. The X6 M boasts standard features that include an adaptive sport suspension, 20-inch aluminum wheels, bi-xenon adaptive headlamps, heated front M sport seats, leather upholstery, aluminum interior trim, Bluetooth wireless connectivity, HD radio and a voice-activated hard drive-based navigation system, including 12 gigabytes of dedicated media storage and DVD video capability. Safety features on every X6 M include anti-lock disc brakes, Dynamic Stability Control with traction control and rollover sensor, BMW Assist, front and rear parking sensors and a tire pressure monitor, as well as front side-impact airbags and overhead curtain airbags for both rows. Following a refresh last year, the BMW X6 M carries over unchanged for 2014.